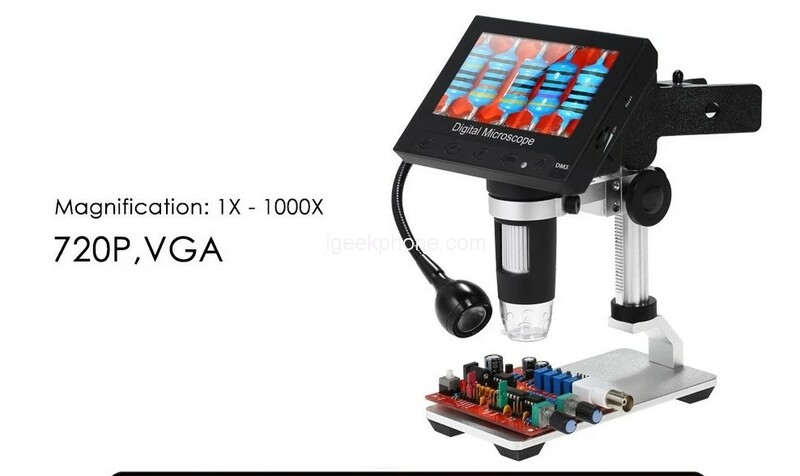 1000X Portable Digital Microscope (1080P) is well made of premium material and can capture every detail. It’s easy to use and install with long service life. With clear image quality, low power consumption, and high-resolution, it will ensure its practicability in the work of high performance. Widely applied in a range of professional fields. 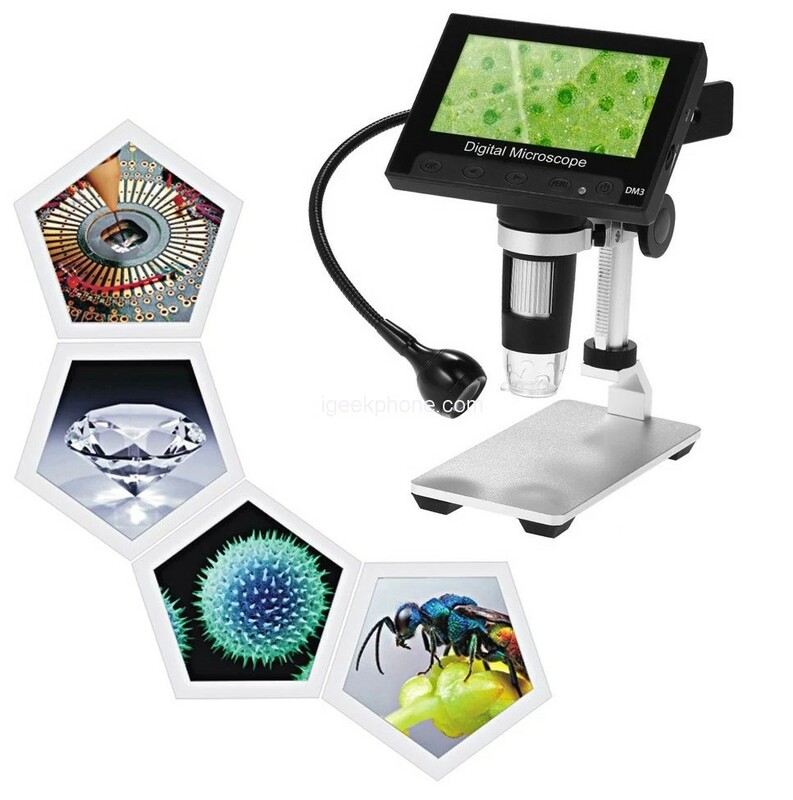 1000X Portable Digital Microscope comes with a 4.3 inch LCD display, 1000X magnification, and adjustable high brightness 8 white LEDs. It will help you see and analyze tiny objects in microscopic details. 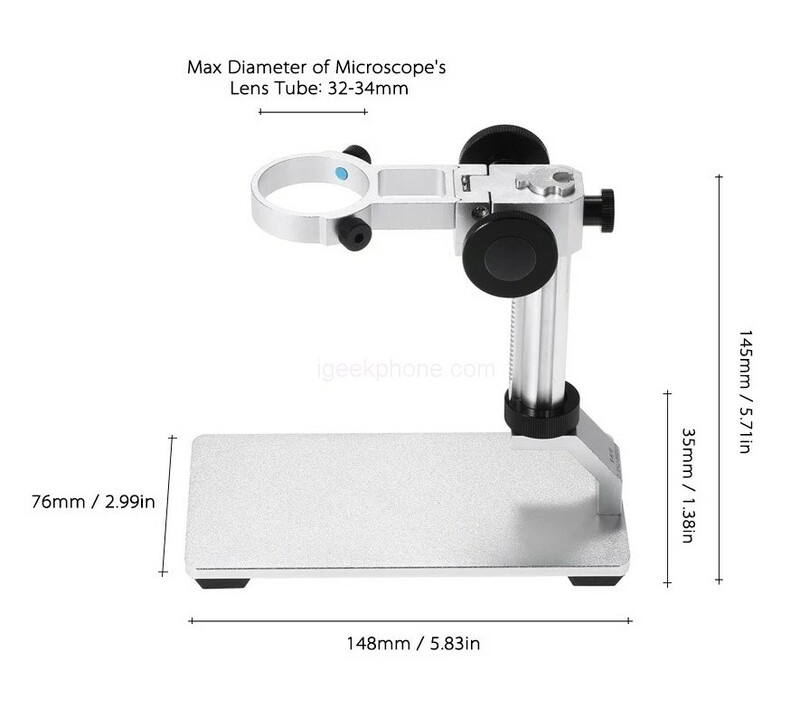 Come with a metal stand to help support the microscope and a USB clip lamp for lighting. Large 4.3-inch Display, allowing you to instantly see all your observations in detail and providing you a view of 1080P or 720P resolution. Innovative screen design, with a 4.3-inch display, so you do not have to connect the computer can clearly see the need to observe the object. 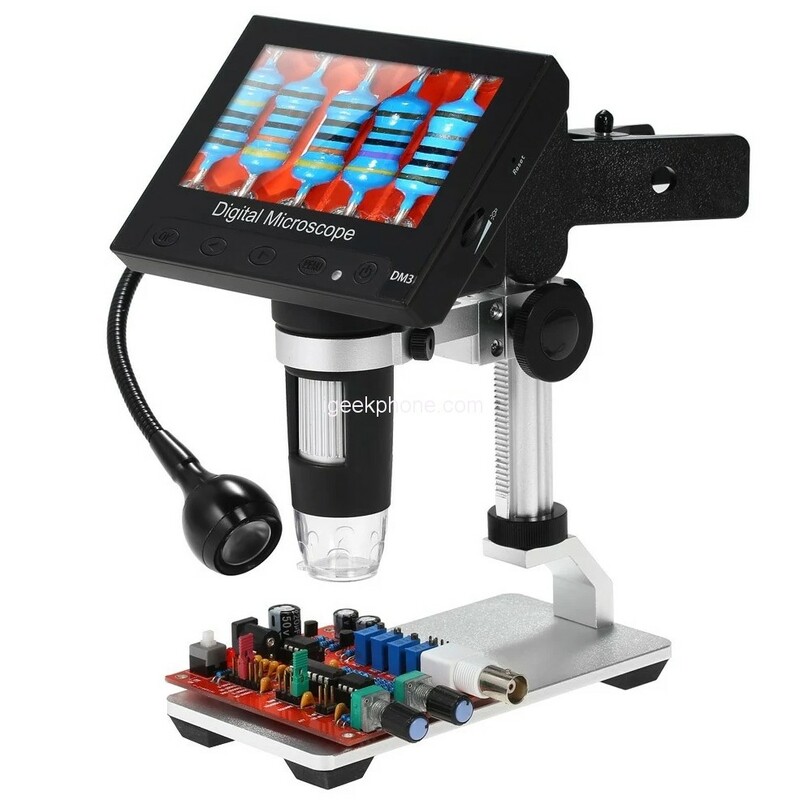 This microscope can be hand-held observation, can also be used with the lift of the fixed bracket to use. The platform can hold any small objects for close observation, and the platform with a scale and two metal fixed rod, to prevent the movement of observation items. Made of 5,000,000 pixel, 1x to 1000x magnification. Multi-stage digital zoom, in the camera or video state, the rotating silver wheel can adjust the focus on the subject. Suitable for inspection watch: circuit board, precision parts, ore, material surface, textile fabric, antique coins, print, skin, hair, insect and other small objects. 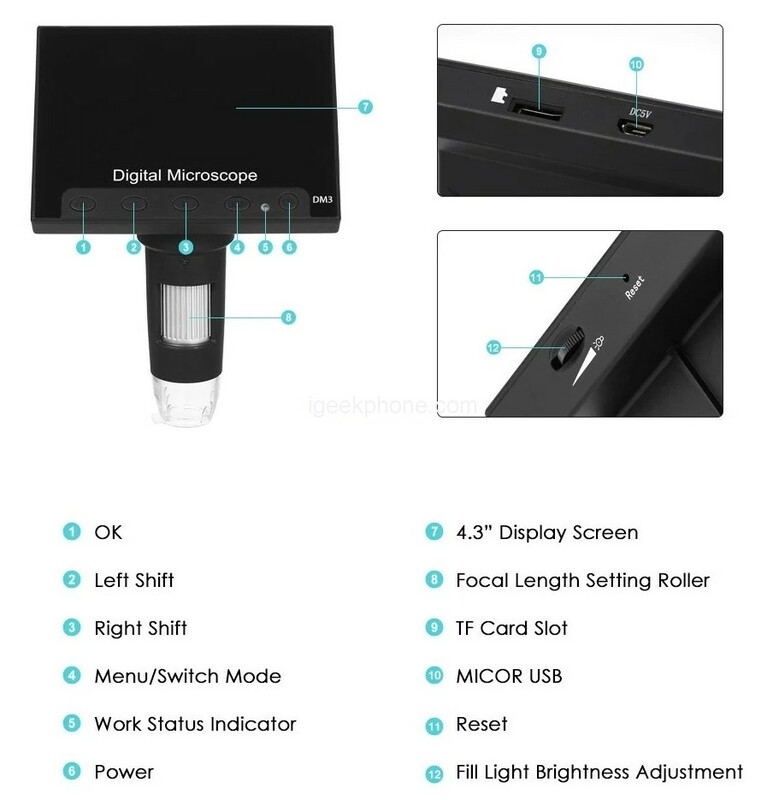 The Microscope built-in 8 LED energy-saving lamps, the brightness control button can adjust its brightness, the light source has 3 levels, from dark to bright cycle adjustment, until the turn-off, the default brightness is lowest when the power on. For different items, choose a different light level to achieve your excepted effect. The charging indicator is RED when charging and the RED LIGHT OFF is full energy. The work status indicator is BLUE light, it will first flash for 3 seconds and then be normally on when the device is in a normal start. Use the equipped USB cable, you can connect to the computer, install the driver on the computer to use. Long press the MENU button to switch the modes Photograph> Video> Playback. Continuous shooting: when activated, you can use the five-picture continuous shooting function. You also can make the device automatically power off and turn off the screen at an appropriate time when it is unmanned operation.